Background/Info: Rhys Fulber (Frontline Assembly, Delerium, Conjure One, Noise Unit ao) last year took me by surprise releasing the 12” “Realism”. This maxi revealed a truly high-tech, minimal-, but still industrial-techno approach. The Canadian artist is now back on track unleashing a full length featuring 9 new songs. Content: The influences and global approach are pretty similar. 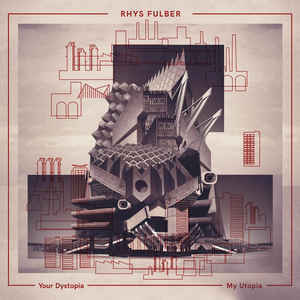 Rhys Fulber sounds like having fun experimenting with dark-techno, industrial sounds, minimal-electronics and EBM. The work becomes a kind of electronic melting-pot however centered on techno music. It’s obscure and sophisticated, but always danceable. Multiple vocal samplings have been injected. There also is a song called “My Church”, which sounds as a wink to Faithless mega-hit “God Is A DJ”. + + + : Rhys Fulber making techno might sound a bit weird, but he remains a truly sound alchemist. Techno can be also intelligent and well-crafted and that’s precisely what you might expect from this opus. The way all influences have been mixed is just great. 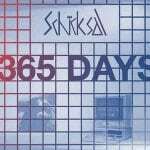 Some passages are clearly into EBM and sometimes even reminding FLA arrangements, but it has been merged together with harsh industrial elements, great synth lines and pure minimalism. This work reveals a majority of great tracks, which will make you move. Notice by the way that there’s no track from the previously released 12” that has been picked up. This work features only new cuts! I fully enjoyed this work and I sincerely hope Rhys Fulber will go on composing ‘his’ techno music. – – – : There’re just 2 songs (cf. “My Church” and “The Sick”), which can’t totally convince. Both pieces are missing a climax, but that’s just a detail compared to the rest of the tracklist, which is magic! Conclusion: Rhys Fulber dealing with techno music sounds is a real challenge. He already surprised me at the debut 12” and simply confirms all his talent and visionary approach at the album. Respect Rhys! Best songs: “You Can Kill Them Or You Can Feed Them”, “Limited Vision”, “Anhedonia”, “Inhabits Eternity”, “Truncheon”.